I’m not averse to wheat or gluten myself (knocking on wood), but I’m well aware of friends and general masses of folks who are looking for that delicious diversion from eating such products. So, for the crispy, crackly “crust” on a fish fillet, I crushed a grainy mixture of aromatic spices instead of looking to starch-based solutions. Then, since we’re creating such a textural complement to the otherwise tender fish, why not make fish itself the crusty crouton for a salad? After all, it’s a protein, it’s juicy on the inside, and we’ve seen enough chicken tossed with salads. It’s getting warmer out, and lighter fare with lots of flavor is calling me. Yet we haven’t gotten to see many spring or summery produce just yet; it’s still root vegetable season at the farmers market, but that can be worked around. This salad was very different for me, but very refreshing. It’s fun getting outside your cooking box and doing something really out of routine. Whenever I’ve got some nice, fresh fish, my impulse is to prepare it simply, with a squeeze of lemon stirred into the buttery, browned pan after cooking it and drizzling that on top alone. 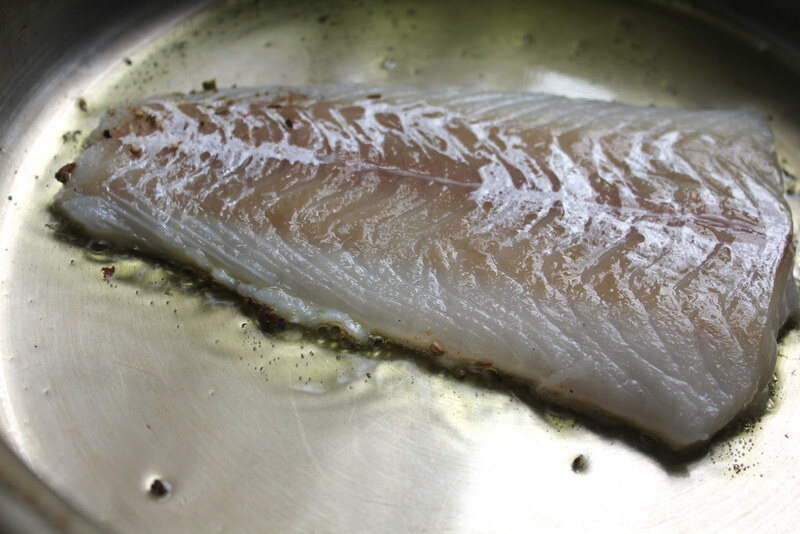 But cod is one of those fish that doesn’t stand out too much in terms of natural flavor to me. It’s very flaky and tender, but taste-wise, it’s kind of un-amazing. I thought of turning this into ceviche, but that can wait for the really warm days. You don’t need to have a full spice cabinet to create a satisfying spice blend to “crust” with, but you will need a few whole spices, rather than ground. For this fish, I used assorted peppercorns (that mixture with black, white, green and pink peppercorns found easily), some coriander and cumin seeds, and a touch of toasted sesame seeds. The cumin can be a little overpowering, so I went light on that. The sesame seeds add a more subtle, nutty flavor but a lot of textural substance to the mix, which is why I included them. If you’re new to cooking fish and have a flaky, delicate fillet such as cod, a simple pan roast is the easiest way to go. Fire up your heaviest skillet (such as cast-iron) and your oven to preheat. 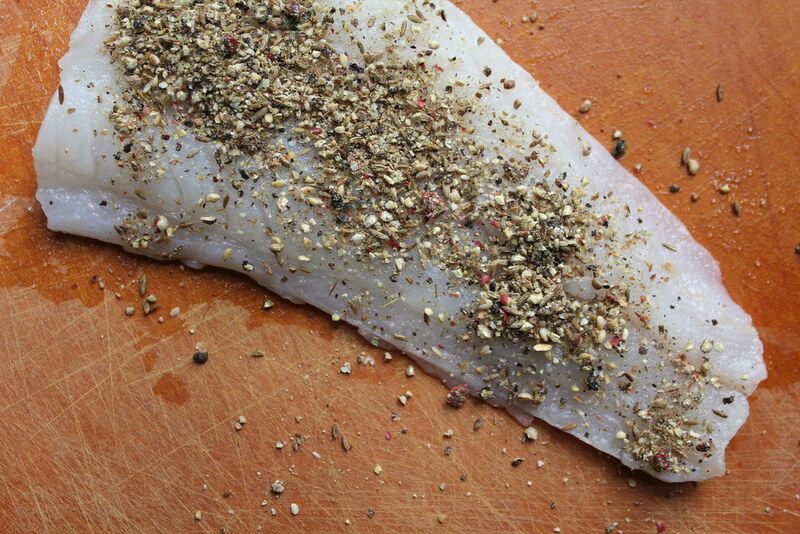 Add plenty of oil, and place the fish spice crusted side-down. After a couple minutes, just transfer the whole pan to the oven until the fish just turns opaque. You’ll see when that happens easier if you never flipped the fish; the top half will be the last to firm up. Give it a nudge and poke at the surface to make sure there’s no flesh that looks translucent. 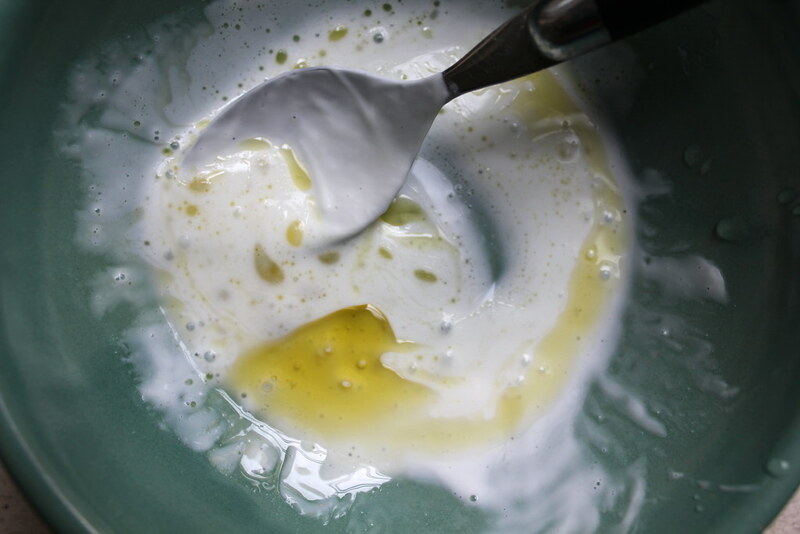 For a thicker, creamy dressing without having to whisk an egg yolk, good old plain yogurt does a nice job. 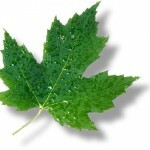 Its cooling tanginess complements the intense spice. A squeeze of lemon, drizzle of olive oil and pinch of salt and pepper was all that I added here. This colorful salad came together with some stray beets I had roasted the other day, a splurge purchase of baby greens, and a few carrot shavings along with the fish. I’d meant to add walnuts to the final dish, as another crunchy, protein-providing component. But once the fish was done and placed ceremoniously atop, I completely forgot. So new and exciting the whole ensemble was even without. Preheat oven to 400 degrees. 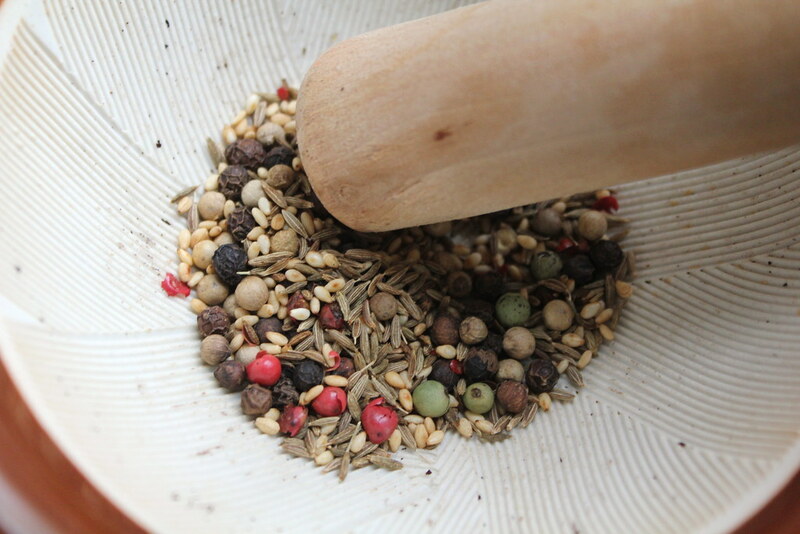 Crush the peppercorns, coriander, cumin and sesame seeds coarsely in a mortar and pestle or spice grinder. Pat the fish dry with paper towels. Feel across it for pin bones, and remove any found gently with tweezers. Cut the fillet into two equal-sized portions (for two servings). Season each piece on both sides with salt. Pour the crushed spices across the top of both pieces in a heap. Pat the spices evenly across the tops of the pieces. Add the oil to the pan and heat it over high heat for about a minute, or until the oil is very hot and begins to pop a little. Place the fish pieces spice side-down on the pan at least an inch apart. Let cook without moving the fish at all for about 2 minutes, or until the spices are very fragrant and the edges of the fish pieces are starting to turn whitish and opaque. Transfer the pan to the oven and cook another 2-3 minutes (depending on the size of the pieces), or until the tops of the fish are just opaque instead of translucent. Remove the pan from the oven and let it cool for a couple minutes. 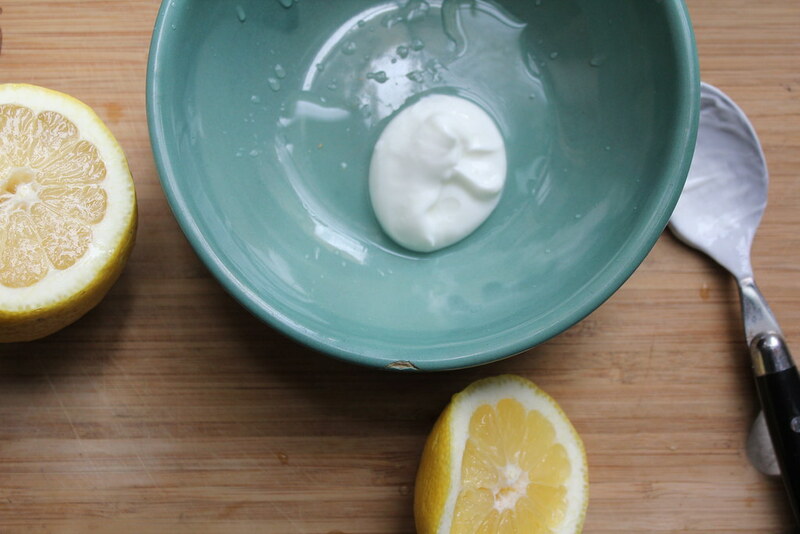 Meanwhile, stir together the yogurt with the lemon juice for the dressing. Slowly drizzle in the olive oil while stirring. Add salt and pepper to taste. Toss the dressing with the baby greens and carrot shavings. Distribute the salad amongst two serving plates, and distribute the beet wedges amongst them both (tossing with the beets will turn everything red). 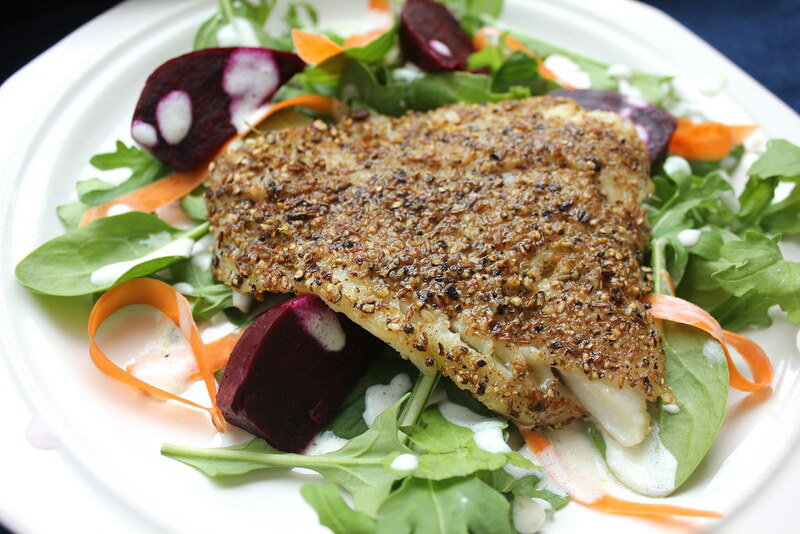 Once the fish has cooled, carefully remove each one with a stiff spatula and invert on top of each salad. Serve immediately. Five brownie points: This salad has a well-rounded portfolio of nutritional benefits. Before you start thinking that this is a totally carb-free main course, keep in mind that beets have natural carbohydrates, and so do carrots, to a lesser extent. But these root vegetables are full of antioxidants and vitamins galore, and so are the baby salad greens (especially if you use spinach). The fish will add omega-3 fatty acids to your diet (although cod is not one of the richest sources of this, like oilier fish), as well as protein. The yogurt will even provide some natural probiotic benefits along with a little more protein. It’s not the least expensive way to get all these health benefits met in one meal (especially with those air-packed baby greens), but a great way to eat well while treating yourself a bit. Seven maple leaves: This meal was mostly locally sourced, with the exception of the baby greens — and all those whole spices. The fish was caught wild from Long Island and brought to the Greenmarket; the carrots and beets were still hanging around in bins there after being harvested last fall. Even the yogurt was made in Hudson Valley at a small dairy farm. Yes, despite its being still winter in the Northeast as far as produce options go, you can still pull together a varied and bright-colored salad. This looks great, definitely going to think about this when grilling salmon and catfish later tonight.